The Mayan predict the Great Cycle will start again in 2012 as the present one did in 3114 BC. Our spiritual development is also said to begin again like a rebirth, but at a higher level of consciousness. Most cultures at this time had the same belief. Time was circular and repeated it’s tendencies in ever continuous cycles. It's at this point of new beginnings or rebirth the values of next Great Cycle begin. The values of the present Great Cycle are money, (material possessions), power and control. You will see the same values in other world cultures beginning around 3100 B.C. as well. So what was happening around 3114 BC that could shed some light on what we may be experiencing or about to experience today? This was the beginning of the Bronze Age. The Bronze Age began at different times in different places but in general the 3100 B.C. area covers most of the civilizations. 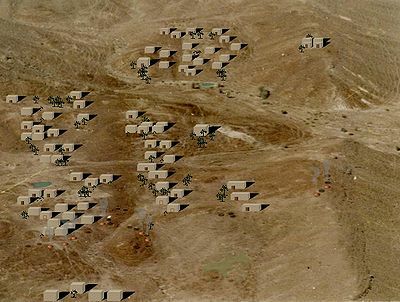 Between 3100 and 3200 one of the world’s largest ancient cities was built covering an area of 151 hectares. Its name was Shahr-I-Sokhta in Iran. This illusive city just sprung up out of nowhere with no other city near it. The inhabitants were a civilized people, both farmers and craftsmen, with no sign of any weapons. Some women appear to have had prominence both socially and financially judging by their distinguished graves. There are also indications that sophisticated surgery was performed. It was abandoned around 2100 BC after being built and burned down three times. Cities were forming, which required boundaries to allow permanent ownership and development rather than a nomadic existence. Prior to cities there was no need to possess the land. A more developed hierarchy and different social categories began. Wealth, power and control was now in a position to gravitate to the few. You will see that these values repeat themselves in other cultures at this time as well. 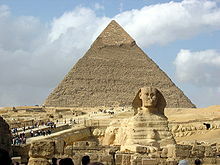 Civilization began in Egypt around 3150 BC and developed for the next three millennium. It started with the political union of Upper and Lower Egypt under the first pharaoh. These pharaohs like the Maya kings were both spiritual leaders and kings. Kali Yuga in the Hindu culture, began around 3102 BC. Interestingly close to the Mayas beginning of the present Great Cycle on 3114 BC. The Hindus also believed that time was circular as the Maya, with one yuga following the next continuously. 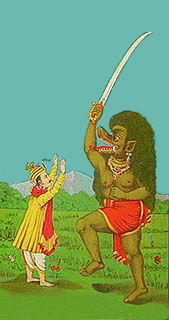 Kali – Hindu scriptures show this to be the current world age. This is a Dark Age when people are the furthest possible from God. People are the least moral. Strife and discord are rampant. This is said to be a demon time choosing gambling, liquor, unscrupulous women and gold. Satya – a time when mankind bows to the gods, and every manifestation is of the purest ideal. Mankind allows goodness from within to be the priority. Treta – follows Satya Yuga and its values are of perfect morality. Dvapara – In this era divine intellect ceases to exist. People are not honest and truthful. Ailments, diseases and many desires also plague them. So far there isn't a clear idea when Kali Yuga will end here on earth. Many believe we are in ascending Kali Yuga right now. The times of changing eras seem vague even to the Hindu’s who are sorting out information left by past spiritual leaders. What I find interesting is that the Hindu religion also shows a time of spiritual rising in their next Great Cycle, ascending Kali Yuga. As the Maya, they show the world in the Dark Age right now. This last quote mirrors in many ways the Mayan beliefs. It appears that 3100 B.C. was a time of great change for all cultures. It represents the beginning of many civilizations and the evolution to the Bronze Age from the Stone Age. It also marked the beginning of our separation from God, to reliance on the intellect. Around December 21, 2012 we will be the closest possible, to the galactic center of the universe or the great bulge of creation according to the Mayan predictions and modern science. Could this also be the "grand center" of the Hindus? The Hindus as the Maya, believed the proximity of the earth and sun to the grand center determines which yuga or cycle humanity is in. The further away from the galactic center, the darker the tendencies of humanity. As said previously, we are the closest to the center of the universe we have been in 26,000 years. The Hindu "Grand Center" mirrors the Maya "Great Cycle" when it comes to timing and method of calculating. Is it possible the Maya and the Hindu’s are both saying we will be starting a new Great Cycle based on love, unity, and integrity on around 2012? Could ascending Kali Yuga or Satya Yuga with similar values begin at the same time as the Mayan Great Cycle? It's possible. They're both based on precession and the cosmos ...not, just our interpretation. There’s a definite pattern between the cultures and religions above. All relied on the natural cycles of the Universe and felt that historical tendencies repeated, at another level of consciousness. Could it also be true we truly are all connected subconsciously? Maybe we can "tune into" a new innovation from another culture thousands of miles away. The Bronze Age may have begun at different times in different places, but the span between is minimal in the greater scheme of things. Cultures who never met physically like the Maya and the Egyptians both had pyramids, king/shamans, sophisticated hieroglyphs, developed civilizations, and relied on the cosmos for guidance. Maybe our minds are connected after all. We just may come to KNOW this consciously around 2012.